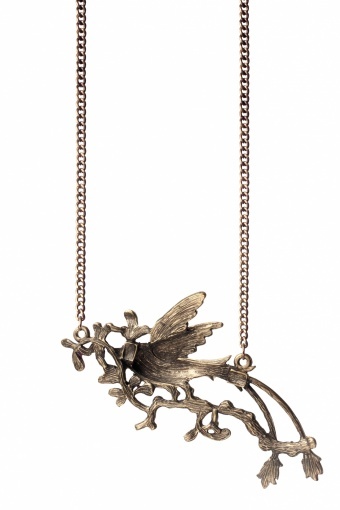 Vintage inspired 40s Bird of Paradise necklace. 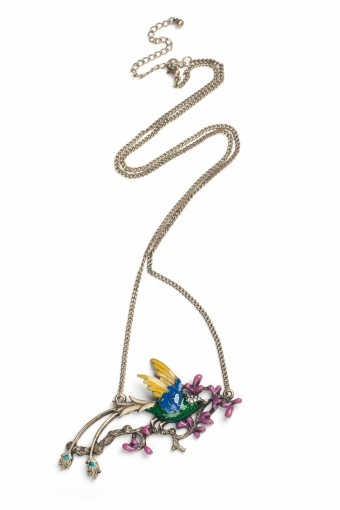 Beautiful coloured long necklace with bird of paradise on a blossom branche in bronze tone (nickelfree) metal. 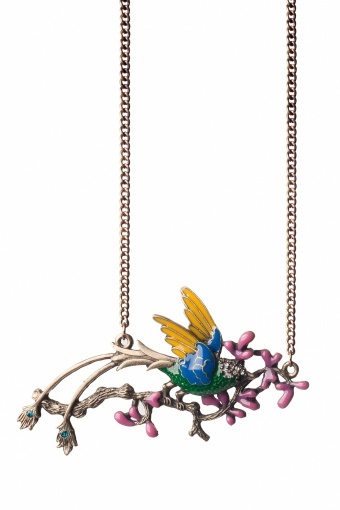 The bird and blossom are enamelled in various colours and its head and tale feathers are decorated with rhinestones. Also available in another colour.